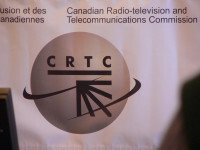 This series has devoted the past several weeks to making the case that the Bell coalition website blocking plan is a disproportionate, ineffective response to piracy that is out-of-step with global standards, will raise consumer Internet costs, result in over-blocking legitimate content, and that is offside Canadian norms on net neutrality, privacy and human rights. Yet even if the CRTC were to still think this terrible idea is worth supporting, it would fall outside its stated rules on approving website blocking. The Commission has made it clear that it will only permit blocking in “exceptional circumstances” and only where doing so would further the objectives found in the Telecommunications Act.